Enrolled Weekly Student: In attendance at the NvdM office / Durban. Weekly Skype Mentorship Student: Anywhere in South Africa (or the world – I'd love to have you). Time to dive in and start selecting. Tell your story, grow your brand, showcase your business. Check out the timetable below and register today. Always wondering what to say online, how to say it and when? Then these are the sessions for you. A focused set of three sessions to guide you through the process of creating and writing purposeful content to market your business and creatively build your brand. On offer are focused steps that you can personally implement and test out to see results in action. "Meaningful content creation is a personal passion of mine. I'm fortunate to have worked on some large scale projects that yielded great success for locally based businesses, both within the creative and corporate spheres." Each set of sessions includes a selection of tools to get you inspired, time for Q&A and measurable steps and actions to implement from day one. Don't you love that feeling in your heart when you leave your favourite shop, with a prettily wrapped parcel after having received outstanding service? It's time to create that "happy feeling" for your very own customers. "Our brands have the opportunity to change people's lives in a beautiful, positive and happy way. Who wouldn't want to share that valuable type of sincere joy through their business?" A focused set of three sessions to guide you through the process of creating your own comprehensive brand experience. Add value to your customers through an authentic and connected offering and ensure it lines up with the mission of your brand. Developing a plan that suits your business and lifestyle. We often hear how consistency is key both online and in achieving our goals. But, first you need to know what you are creating consistency towards. It's time to shape a plan that creates that direction for both your life and business. A focused set of three sessions to guide you through the process of understanding what you want to become known for within your industry and creating a plan around it that respects your lifestyle and values. We tackle some of the tough elements like setting boundaries, thinking about the future and what will essentially make you a happier and therefore more successful business owner and all round human. Beautiful photos are everywhere we look, but what about your own images that represent your brand? It's easy to use stock imagery, but how about creating and styling a library of images that truly represents your business and in turn creating a brand presence. This half day workshop will take you through the steps to styling your own images that are in line with the vision you are aiming to create. From the practical to the pretty we will work on examples and actionable steps. 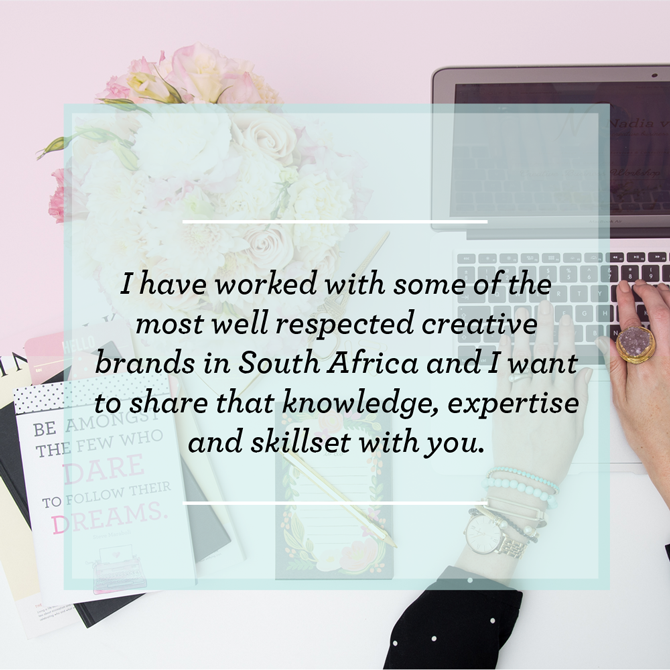 "I have lectured on styling at a tertiary level and styled images for a host of local brands with great success for both print and digital. 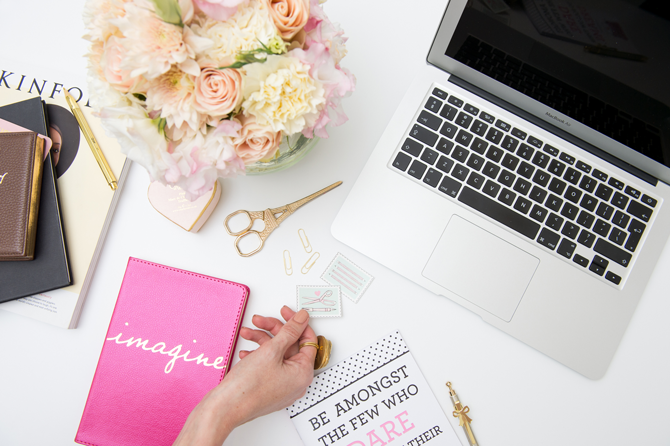 It's time to be inspired, hone your own eye for composition and showcase your brand in style!" Each workshop includes a selection of tools to get you inspired, time for Q&A and measurable steps and actions to implement immediately. The good news is if you are unable to attend or fit in with these dates, you can be a student in July or book the series of sessions for one on one mentorship that fits your schedule. It’s a win win all round! Isn’t that just lovely news? Ready to enrol? Click here. Small focused groups, individual attention, direct access to the teacher... these rates are designed to make it affordable for you the business owner. My focus is guidance and adding value. Human to human... good old fashioned communication based on true connection. Durban Sessions: Simply put it is R900 for all three sessions (R300 each) collectively which includes a host of additional treats and supplies to get you focused. You get direct access to me as I teach the sessions and the groups are limited to only three students. The one on one mentorship sessions via Skype for the same series of sessions are R1200 because you receive direct, individual attention. Or better yet get a group of three and you can pay R900 each instead. Have yourselves a little creative party, make tea, meet up at one friend's house... let the learning commence. Half day workshops are R500 each. Currently in Durban only. 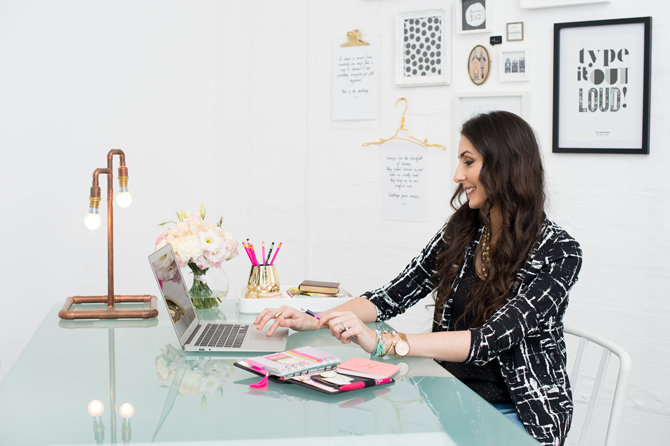 Click here to book your sessions and get working on creating the brand of your dreams.